Kick A Rock: The Wizard, What A Great 80s Flick... California! I love Nintendo. Who doesn't? 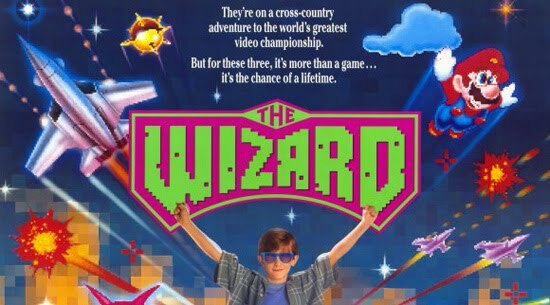 But the thing I love most about Nintendo was their involvement in the best gamer movie ever, The Wizard. Let's face it, you had a young Fred Savage (Corey) traveling across the country with his little brother (Jimmy), whom we at Kick A Rock believe had Autism, all in the effort to get him to the place he longed to go... California! But like any adventure, it's not about the destination, but the journey that matters most. And along this journey, Corey discovers his quirky little brother happens to be a "wizard" at Nintendo games, including Double Dragon, Ninja Gaiden, Super Mario Bros., and one of the greatest game introductions ever, Super Mario Bros. 3. Hell, there's even an epic fight scene with Jimmy's nemesis wielding a Power Glove. However, for me one of the best parts of this movie, and any Rilo Kiley fan, is the fact that Corey's "girl," whom he befriends during his travels, is actually a young Jenny Lewis. No joke. Check out the trailer below and see for yourself. So if you're feeling nostalgic and want a fun trip down memory lane, check out this wonderful work of art and enjoy all the 80s gamer greatness it has to offer.